At Tyrol Cleaning, we take pride in our cleaning practices. When it comes to healthcare cleaning, we understand that our job is one of the most critical. Over two million people are affected by hospital and healthcare facility infections each year. This means that any company focused on health and medical attention needs to hire a commercial cleaning service that is trained and equipped in infection prevention techniques. The good news is Tyrol Cleaning is a Pittsburgh janitorial service that specializes in this type of cleaning and is always ready to take on a new client. Something as important as protecting clients from sickness should be in the hands of amateurs, let the professional commercial cleaning specialists of Pittsburgh do what we do best. Our knowledgeable associates will clean and disinfect every inch of a healthcare company to ensure that any disease traveling into the facility, never makes it back out. We provide all of the general cleaning practices that we do for our office cleaning clients but add some extra janitorial practices to ensure employees and patients have a clean environment every single morning after we have left. Our clients can rest assured that our practices are proven to be the most effective in the cleaning industry. 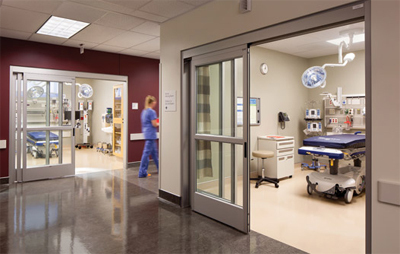 Unfortunately, sometimes facilities suffer from outbreaks of illnesses like flu or MRSA. This can be dangerous to a facility and the public, which is why Tyrol is equipped and ready to help by using EPA-Registered cleaning solutions and aggressive strategies to kill dangerous pathogens. While we can’t promise there won’t be another outbreak come into a facility, we can guarantee we will destroy the illness-causing germs that are at the facility. Our long and thorough process is scientifically proven to remove dangers of illness. Thanks to our well-trained staff and the best cleaning equipment possible, the top Pittsburgh commercial cleaning service is only a phone call away from helping. Hospitals and healthcare facilities are a vital part of our society. We hope that when it comes to service, businesses in Pittsburgh call Tyrol to discover what true professional janitorial service is like. 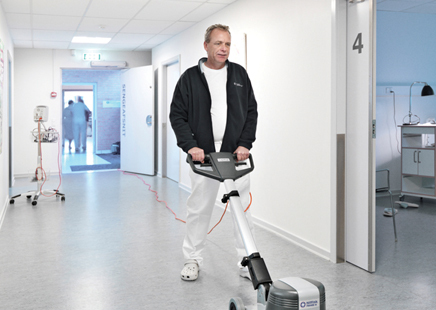 With a knowledgeable staff, the best equipment in the business and prices for any budget, there is no reason why any business shouldn’t use Tyrol Cleaning, especially healthcare-focused facilities. Call us today and get a free commercial cleaning quote!